Last week, SBS On Demand launched Queer for Short: Home Grown, a series of short films showcasing LGBTIQ+ stories from teams of emerging filmmakers across NSW. Developed in partnership with Create NSW’s 'Generator: Emerging Filmmakers Fund', the collection celebrates and examines what it means to be queer in Australia, as experienced by a diverse scope of talented storytellers. The six short films include Concern for Welfare (directed by Fadia Abboud), Black Lips (directed by Adrian Chiarella), Cherry Season (directed by Joshua Longhurst), the bilingual Tomgirl (directed by Vonne Patiag), Joy Boy (directed by Stef Smith), and Disco Dykes (directed by Sara West). For Vonne Patiag - the writer and director of Tomgirl - the film-making experience proved to be an invaluable opportunity to reconnect with his cultural heritage. The film explores Filipino "bakla" culture, which, despite being used as synonymous with "homosexual", often refers to those belonging to a third gender. "It was an opportunity to look at stories which meant a lot to me," he tells SBS Sexuality. "Because I was born in Sydney and had only engaged with the LGBTIQA+ community in Australia, writing and filming Tomgirl was a chance to sit down with my parents and ask questions." He continues: "Bakla don’t dress in drag to become women, they do it for truth. Some bakla are gay, some are straight, some are married to women with children." A dozen of the best LGBT+ films of the last year. 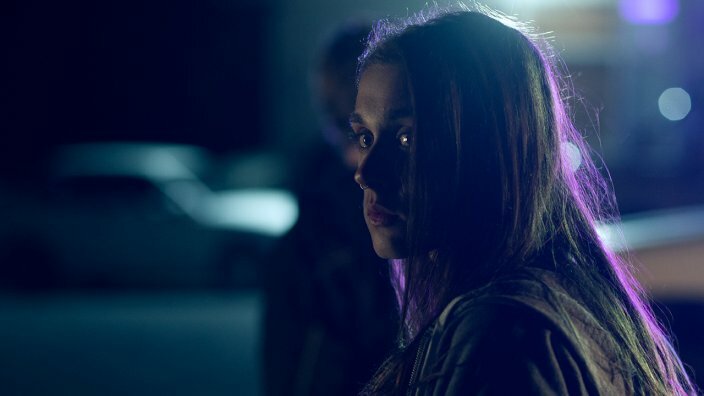 For the director of Cherry Season, Joshua Longhurst, the production of his third short film took him back to his hometown of Young in south west New South Wales. "I had always wanted to make a film there," Longhurst tells SBS Sexuality. "Making films on my auntie’s handy-cam formed a big part of my childhood, so the idea of going back and doing something as an emerging practitioner, this was the perfect opportunity to do that." Written by Longhurst's long-term partner, Tim Spencer, the country town soon became a character in the story, which tackles themes of sexuality and isolation. "I think everyone’s experience is going to be different," Longhurst says, "but what I found, growing up in a small town, was that there’s such a fear of the unknown. I think that can be instilled in you as a child." "To be able to go back with my partner and create a story that he wrote about my hometown, it was really wonderful," Longhurst adds. "And for the most part we were met with so much generosity and support. There is more support than there used to be, so maybe that’s enough to suggest things are changing." A scene from Cherry Season. Marshall Heald, SBS Director of Television and Online Content says the collection of short films "builds on our ongoing commitment to provide opportunities for creatives and talent from diverse backgrounds both on and off screen." Queer for Short: Home Grown is available to stream on SBS On Demand now, with a special broadcast series hosted by The Feed’s Pat Abboud on Thursday nights from 15 February, 8pm on SBS VICELAND, featuring exclusive access and interviews with the filmmakers.